Composer Peter Buffett and his ukulele-playing pater will be on stage at the Paley Center in October. If you can afford to go, you're prolly already a Berkshire-Hathaway shareholder. Gotta buy the whole season series at Paley if you wanna go. Multimedia musician Peter Buffett is an acclaimed composer for advertising (MTV spots), television documentaries (500 Nations), and theatrical films (Dances with Wolves). Peter will play, sing, and share exclusive videos of his work and philanthropic activities. 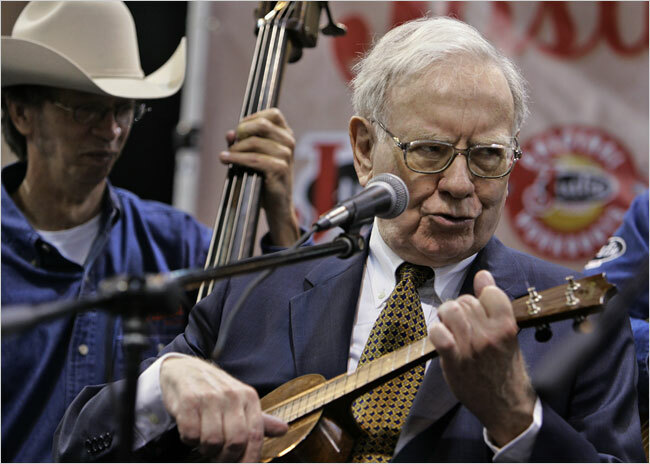 Special guest Warren Buffett and Peter will attend the private rooftop reception with series subscribers preceding the concert.